We are maintaining a competitive advantage for our clients by providing software products at an affordable price. Life is changing every day with every passing moment and the same applies to Technology as well. With the advancement of technology, change is just a click away. In 2017, there have been great innovations in technology and definitely, the innovation is constant and trends transform, so it’s need of the era to follow the suit of revolutionary aspects. Scientists have claimed that 2019 will bring a lot of wonderful and amazing advancements in technology. It is said that application and software development companies are contributing to bringing advancement in soft solutions. 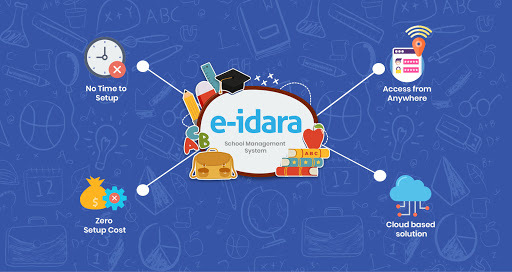 In a form of E-idara software, now manage your school as you did never before. A school management software product that reduces your effort and maximizes efficiency through single web-based control for your educational institute. List your admissions, attendance, student batches, classes, results, fee scheduling all in one. So, wrap-up the mess of files storage and registers, just signup today and let E-Idara work for you. 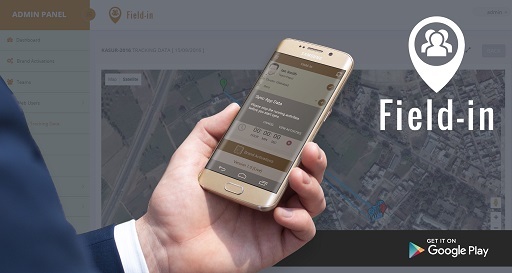 Field in real-time team tracking and activity management software is designed to improve on-site and on-field team performance, purpose-built to support sales and services departments in any business. It helps in tracking daily tasks and reporting accurately about teams’ locations and the work in progress supported by images as posted by the app users from the on-site location.